I was on Facebook earlier today and one of my friends shared this video for the Worlds Best Watermelon Slicer. The whole time I was watching it I was thinking, this is definitely a Fluster Buster treasure. Watermelon is a favorite summertime treat in our home, but I don’t buy it that often because it’s such a pain to slice and I end up making a huge mess. Then there’s the problem with storing it, if I end up getting to flustered before I’m done slicing, I end up having to clear space in the refrigerator. They take up a lot of room! As soon as I was done watching the video I headed right over to Amazon, I had to add this Watermelon Slicer to my Fluster Buster Treasury. 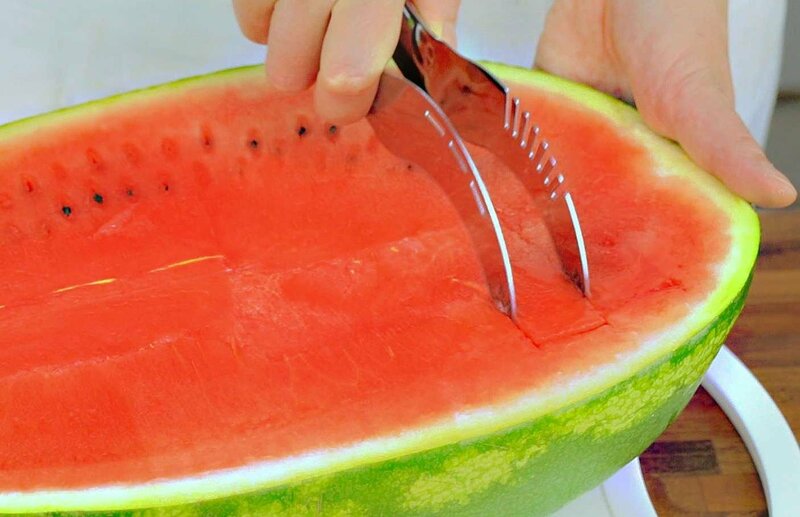 I know that this is going to be a regularly used tool, not just for watermelon but I’m thinking cantaloupe and honey dew too. Oh, and it would be great to use the hollowed out rinds as a bowl for summer party’s. I’m so excited, I can’t wait for it to arrive. Shipping is FREE with Amazon Prime or with the purchase of $35 or more. Sign up for Amazon Prime 30-Day Free Trial, not only will you get free shipping you’ll get access to tons of great movies, TV shows and books, all for FREE.